Since the internet and Youtube came on the scene, the possibilities in education have exploded. When my son asks me about the difference between wasps and bees, I don't have to know for sure because I can just look up a description of both on the internet. Easy! Online resources are such a huge part of our every day learning now that as parents and teachers, we must be willing and able to navigate them effectively. My educational approach certainly features more offline work, but utilizing studies like this one are what you need to harmonize the two methods. Today we are reviewing the Famous Inventors Online Unit Study from Techie Homeschool Mom where we learned about all different kinds of inventors and their inventions, while trying our hand at making our own. My son (8) and daughter (5) almost always want to see or try out whatever resource the other one is using so I had them both sit down and watch the videos together. The quizzes were straightforward enough that they could do them together. The kids really enjoyed recognizing the first few inventors from other books and things they have learned other places. We usually waited to do the projects until Mr. Butler got home because #1 he's really good at that kind of thing and #2 he loves that part of homeschooling! Everything was well-organized and easy to use. The supplies and instructions for the projects were clear. My kids LOVE doing projects with dad so they had a great time. From an educational and lesson planning perspective, just knowing that Techie Homeschool Mom exists opens up some great options for the future. We are always looking for a simpler way to introduce our students to content without it requiring even more work on the parents part. While there is heavy involvement on the projects (namely because of my kids' young ages), everything else can be very hands-off. Since a lot of the curriculum and resources that we use require plenty of parent/teacher guidance, it is nice to supplement with a unit study like this where most of the preparation is already done. We loved this program and could see all of Techie Homeschool Mom's studies being a great resource when planning your curriculum. 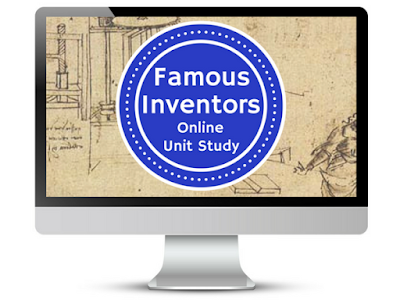 Click below and read what other families had to say about some of the other unit studies! We love getting to try new curriculum through the Homeschool Review Crew, but one of the biggest blessings is being introduced to faith-based companies and programs that align with our Christian worldview. 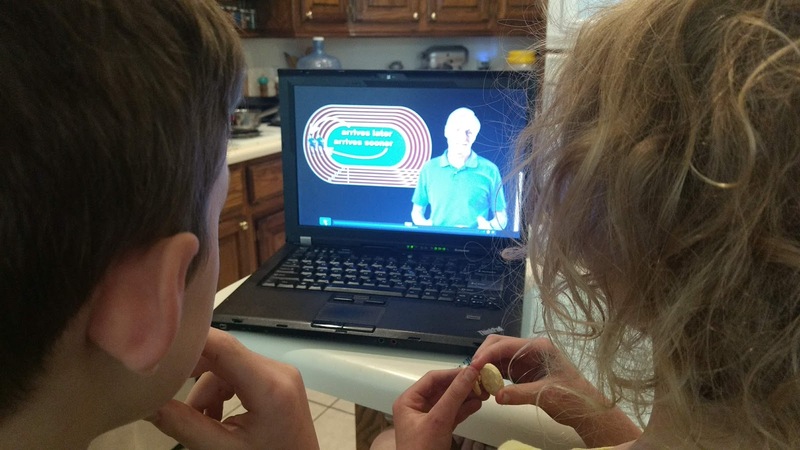 Today's review is a brand new science curriculum from CrossWired Science, where their first and primary goal is to please God. That outlook and their desire for students to delight in studying God's nature and creation has made this such an encouraging experience. And when I say new, I mean so new that they are still adding new topics and new elements all the time new! 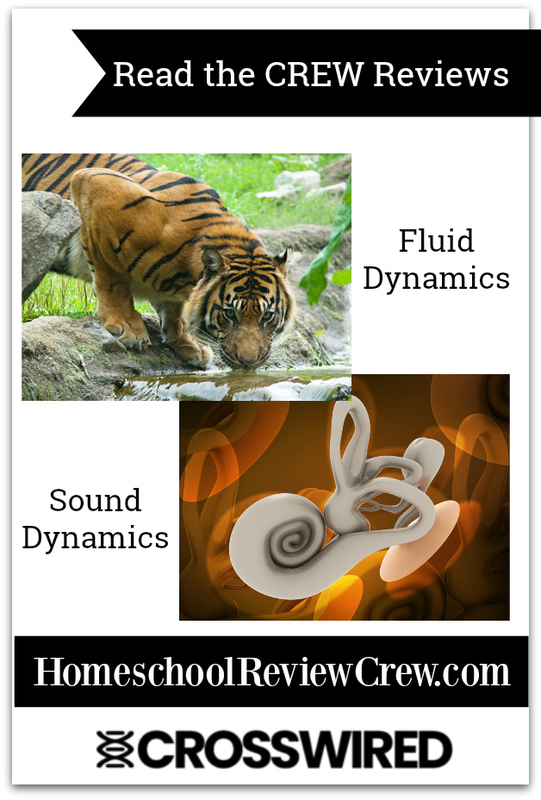 For this review, we were given access to their first 2 topics: Sound, and Fluid Dynamics, but that is just the beginning of what will eventually be a multiple year science curriculum for multiple ages. What Is It? 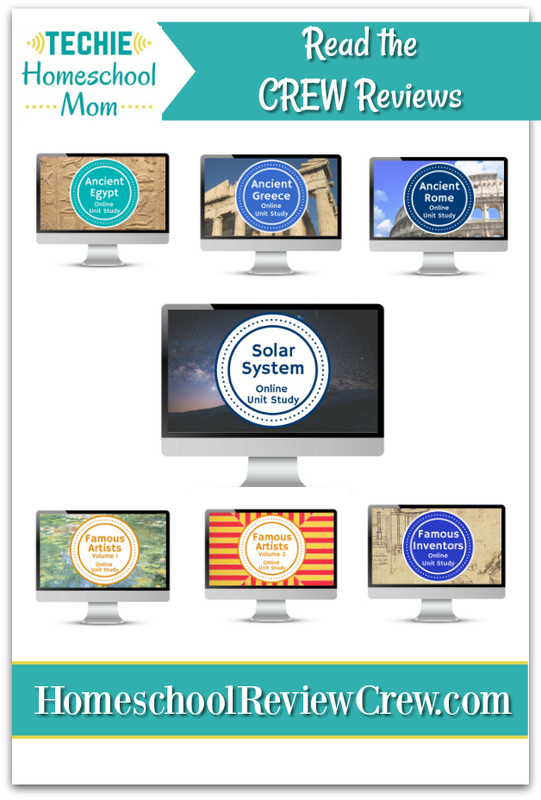 CrossWired Science is an annual digital subscription to a science curriculum priced very affordably at $27.95. It is intended for students 4-18, but the program as a whole seeks to reach anyone interested in learning. What Does It Include? A subscription gives access to Global Topics (i.e. Sound or Fluid Dynamics) that ultimately cross over into all the different sciences while highlighting God's extensive design and power. Not only that, it also incorporates multiple learning avenues. There is a suggested calendar that maps out how you can utilize all of the resources, but ultimately this an extremely versatile curriculum where you can mix and match if that works better for you. If you were to follow the calendar, each Global Topic should last 6 weeks. All of these work together to spark a greater interest in the subject and deepen the learning. This is a lot of material and information! How It Works As the calendar suggests, students begin with the core videos of the selected Global Topic and then a variety of other activities are then incorporated to facilitate deeper understanding, often with a 'Choose Your Own Adventure' type of approach. This makes the program very versatile to any age and compatible with most any homeschooling approach or other curriculum. It does require a lot of parent/teacher direction for younger grades, but for high school and motivated middle schoolers, this could be a great independent study program. The hope and long-term design of CrossWired Science6yl is for entire family learning with the addition of 24-30 Global Topics, like Sound and Fluid Dynamics, that create a strong scientific knowledge base to draw from and revisit. This is a huge resource and it was all a little overwhelming at first. We originally dove into the videos and quizzes before I had adequately explored all of the parent/teacher resources and recommendations. Reading those (especially the calendar), made everything a bit more clear and less intimidating. The videos and the information they make available are excellent and big hits with the kids. I love what the company is trying to do and their focus on glorifying God and making science more intrinsic to all learning. The potential learning is just endless, which makes the price seem like a steal! It is exciting to see all the things this company and program will bring to the educational community. Whether you are looking for a full science curriculum or just needing something to supplement fun activities over the summer, now is a great time to dive into CrossWired Science! For my readers, the coupon code write21 will get you $5 off your subscription. With the younger age of my kids, we certainly haven't used the program to its fullest yet. For greater detail or a different perspective, check out other crew reviews at the link below! Have you guys seen this from The Five Love Languages by Gary Chapman? If you and your significant other are on your phones at all, this might be a great use of them. If you have never read the book, do it! If you're like me and have read it before, but perhaps you are polar opposite of your spouse in primary love language, this might be just the nudge you need to be more in sync with them! As a parent, you are in charge of a lot of things. The things we want to teach our kids before they leave home is overwhelming sometimes. Between their questions and our worries, there is a lot to cover and keep up with. This mom gets strung out in trying to manage deadlines and looking for introverted downtime that doesn't exist some weeks. When that happens, I'm definitely not the most encouraging parent and more of the nagging parent. I understand why I get that way, but it definitely isn't for the best usually. One thing it does is remind me of what my children need to hear. Sometimes they need to hear these things to counteract the negative stuff they have heard all day. Sometimes it is just time for a reminder. Maybe your family doesn't communicate on emotional matters very often. The following list is a good spring board into filling your children up emotionally. -I'm excited about the things you are doing. -I'm thankful for your good heart. -You matter to our family. -I'm glad God gave me you! In all the stress of life and inherited bias', sometimes the most important things are neglected. Let's all strive to fill each other up with the important things. Music is like magic. It enhances, teaches and breaks through barriers in ways most other things can't when it's done right. Today we are reviewing a fun product from Rhythm & Writing called Rhythm & Writing with the Get Write Crew that teaches handwriting. This program is similar to a lot of handwriting programs in that it involves writing practice. What makes Rhythm & Writing different is a collection of catchy music videos and characters that teach or remind the listener how to correctly construct the letters. Even though we have used and reviewed several handwriting programs before, none of them included a musical element. We received a spiral-bound, landscape oriented workbook, a transparency page, and access to a series of videos online which requires the use of a computer/Ipad and access to the internet. The workbook begins with an Introduction and Steps to Success that explain the reasoning behind the creation of the program and how to get the most out of it. There is a Pre-Assessment and a Post-Assessment with stories about The Get Write Crew, coloring pages and letter writing practice pages sandwiched in the middle. The practice pages use the colors red, yellow and green to resemble a traffic light to help students visually remember where to start, slow down or stop their letters. The transparency page is intended to be paper-clipped to the practice pages for the student to practice with dry-erase markers until they build up their skills and are ready to write in the book. Each video features a different letter or a group of letters formed similarly and it's own unique song that tells how to form that letter. The character singing/rapping changes from time to time, but the videos are almost exclusively text and letter creation. This can be watched as many times as you need and is especially helpful to play in the background as the student is practicing. My 5 year old daughter used this program primarily and was the one filling out the book. She already knows how to write her letters, but she often uses only capitals and is quite messy about it. So, she wasn't learning letters for the first time, but reminding/reteaching the correct way to write them. My older son is always interested in new videos so he would watch those with her sometimes and even practiced his handwriting a couple of times. Typically, miss Z would start the school day with a video, but it would often turn into 2 or 3 that covered 4-6 pages of handwriting practice because she enjoyed it. The kids thought the videos were super fun and were happy to listen to any of them on repeat. My son, who has used several other programs, said that because the videos are writing the letters with you, he felt this one was better. He really enjoys doing work along side other people. I feel like this method is a little more thorough than some simply because there is an audio reinforcement of how letters are supposed to be created. In the copy-only method, it is easy for a student to continue to write a letter how they want unless constantly corrected, which is hard to follow through on when teaching multiple kids. My daughter, the primary user, said she likes to write and watch videos so it was perfect! Since my children already knew how to create letters, I can't speak to using this program from the start, but I expect it would be really fun and effective for beginners. Looking for other perspectives on this program? 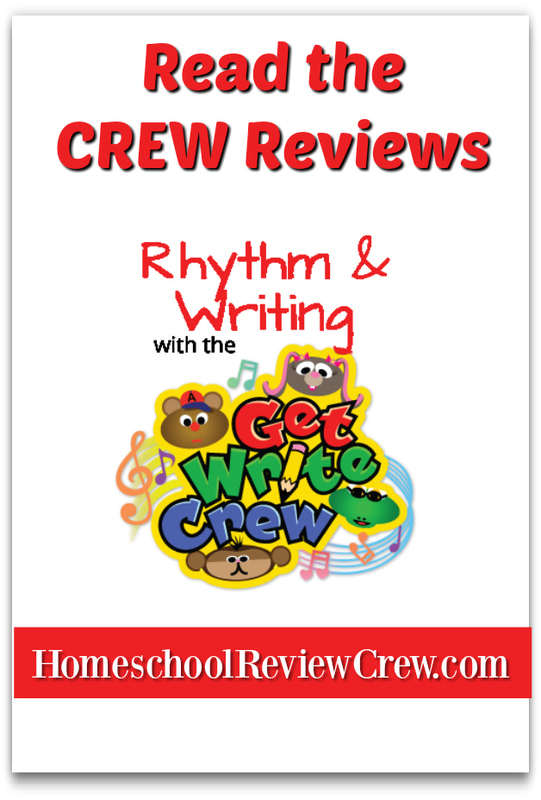 Check out what other families had to say about Rhythm & Writing with the Get Write Crew through the link below. No matter your upbringing and influences, young adults have a timeline in their heads about when things should happen in their life. Usually, it has something to do with what your parents did or what those around you are doing. Truth be told, it shouldn't matter all that much. But, oh how it matters in our hearts. Career, marriage, success, kids, weight-loss, big purchases - the list just keeps going. We put rich hopes and expectations on the future with only so much power to ensure them. When I graduated high school, I had big plans, but more than anything I didn't want to be an old maid. I wouldn't have admitted that, instead preached the opposite, but there's no point in denying it now. I wouldn't get married until I was 26 and started having kids at 30, which in my social circles was older than most. Since then it is closer to the millennial average, but still. l have almost no friends that are my age (39) with a husband his age (4 1/2 years younger), and kids the age range of my kids 8, 5, and (almost) 2. And it's fine. I don't mean, it's fine but I'm super bitter. I mean, it's got pros and cons and everything worked out fine fine. It means that whenever I can get over my awkwardness, I have a lot in common with a lot of different type of people. When other moms (with older kids) can relax and chat, I have to run after a toddler, which is exhausting! If I hadn't gotten married at 26, then I probably wouldn't have been marrying Mr. Butler and that comes with some pretty irreplaceable perks. He carries all the heavy things and looks good doing it. We can throw out calculus terms at the dinner table and impress our 8 year old together. He builds me things, plants trees for me, loves to play with our kids, and wants to do what's right, even if he looks scary. He's really not. :) Whatever the complaints I could have about the timeline of my life thus far, they do not compare to the people that I get to spend my life with. It's a no-brainer. When you are young, there are so many influences that can push you in directions you don't need to go. Trust me when I tell you that people are going to judge you no matter what you do. Marry young or old, no kids, a lot of kids, lose the weight, gain extra, work, stay at home, public, private, homeschool - I can do this all day. The young, inexperienced and foolish people will judge you no. matter. what. I have always worried about what other people think of me, but then I go off and do things different than most, so what did I expect? And then, I catch myself judging others the way I fear they are judging me! So, since being judged is a side effect of being human, then a fear of others' judgement should not make our life decisions for us. Whenever you catch yourself criticizing the stage of life you are in and how it isn't lining up how it's 'supposed to,' remind yourself there is so much good right here, right now. To bellow about where you aren't only prevents you from enjoying where you are. I guarantee you that if you follow your imaginary timeline exactly, you will still be judged, disappointed and tempted to bellow about it. Maybe you don't get into the program you want or you spend years in a relationship for it to only end. Maybe you make choices with really tough life consequences. It is so easy to give into the judgement and fears of not measuring up to anyone's expectations, especially your own. But what good will that do? It won't and you'll miss out on the really beautiful things that are yours no matter what. There is a lot we could complain about when it comes to this information age we are living in, but there are a few things that make me so very grateful. Access to God's Word and great resources that celebrate His Word are some of my favorites! 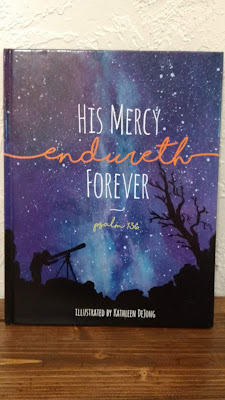 Today I am reviewing a beautiful picture book from Reformed Free Publishing called His Mercy Endureth Forever: Psalm 136, Illustrated by Kathleen DeJong that does nothing but bring the Word to life. This hard bound book is over 30 pages long, contains 15 color illustrations and a glossary at the back. The book is geared for ages 6-9 and provides really good opportunities to discuss the mean of the scriptures, but can be read to any age. My (almost) 2 year old will sit still for almost the entire book! The glossary is a very nice addition that defines words like endureth, low estate and smote. This can be especially useful for expanding the vocabulary of young kids or just those who are less familiar with Biblical language. 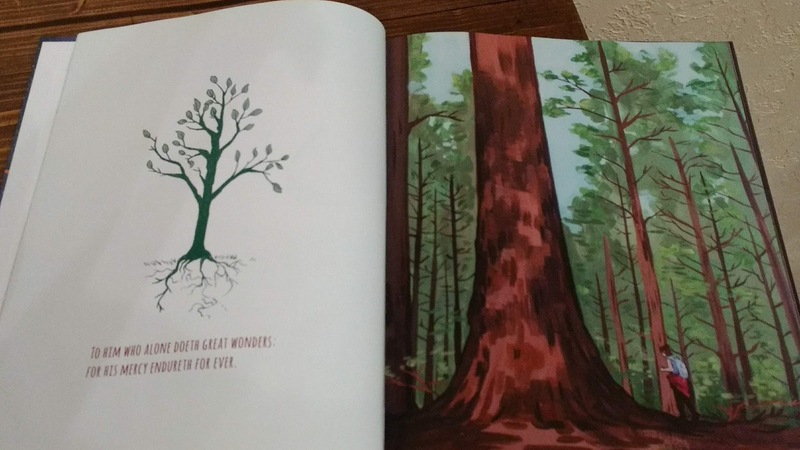 In addition to skillful way the pictures are illustrated, I found it to be very satisfying how the choice of pictures were all very grounded in timeless concepts. While we are very much living in a modern society, there are a few things that our forefathers did that we can enjoy as well. 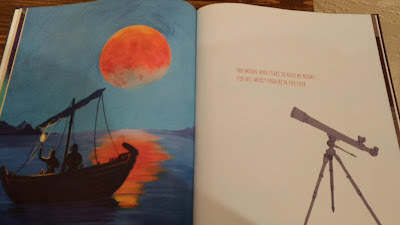 The sailing of a ship on the open water, hiking a trail in the forest, or staring at the stars on a summer night are all testaments to our unique and God-given planet and things we can share with those of the past. This book helps the reader truly consider the different ideas in Psalm 136, both in the time it was written and also as it applies to us now. 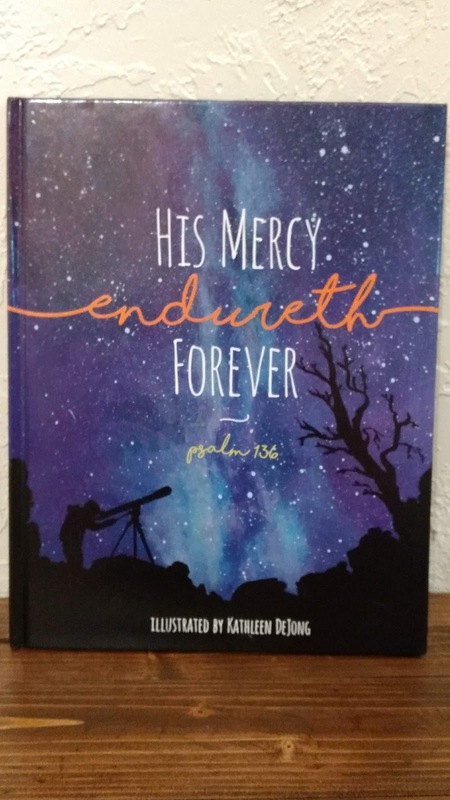 As you are looking for a gift or enhancing your library, His Mercy Endureth Forever is a beautiful and faith-affirming choice.